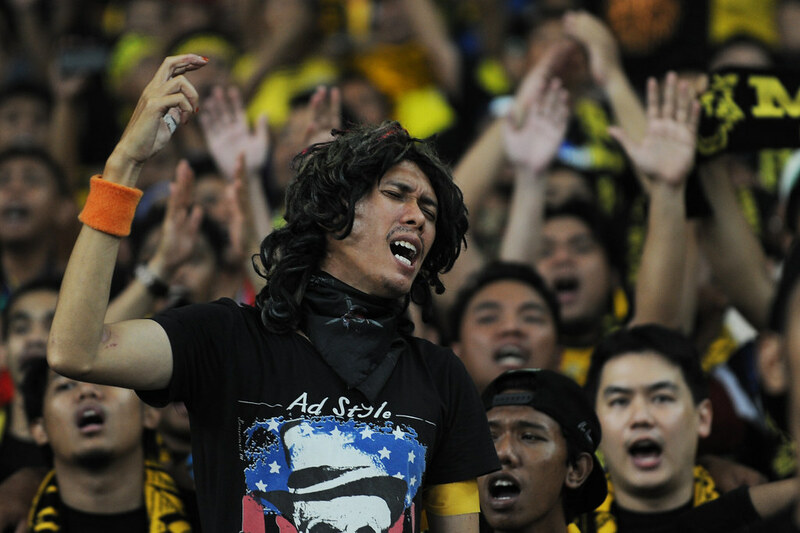 Nowdays, one thing that the Malaysian team never had to worry about during the tournament was support from this fanatic group. 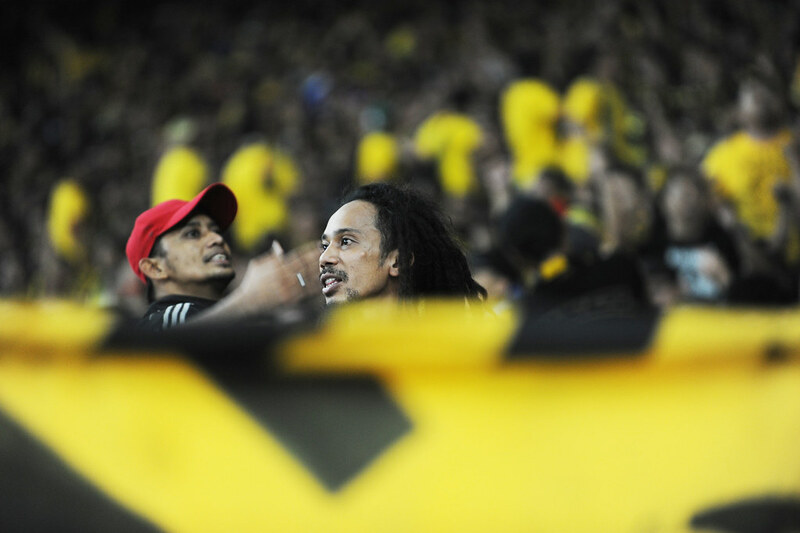 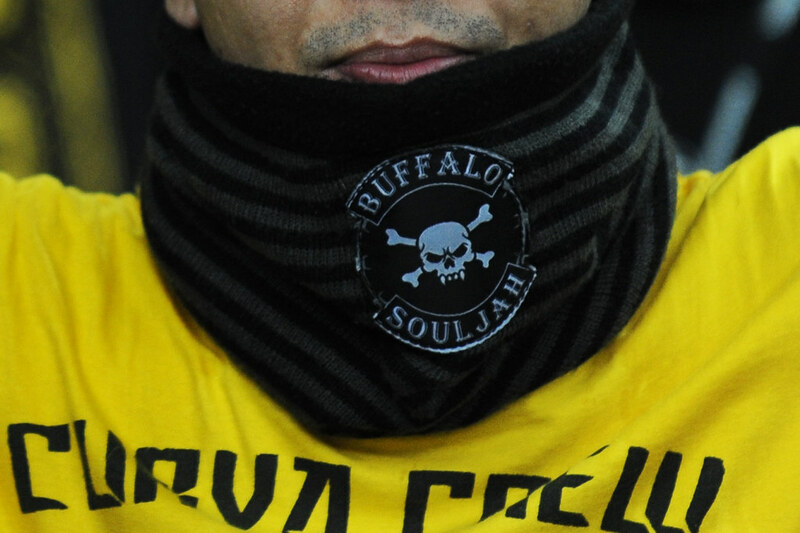 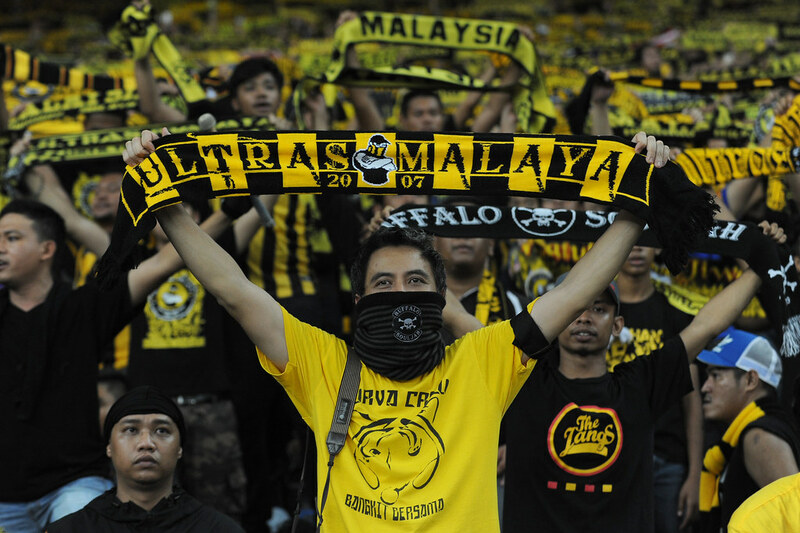 The Ultras Malaya lived up to their reputation by being ever-present at all of the Malayan Tigers’ matches. 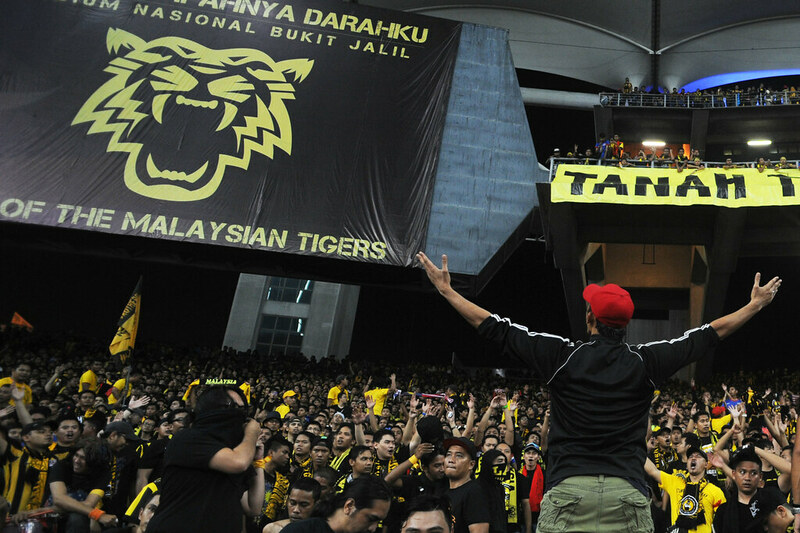 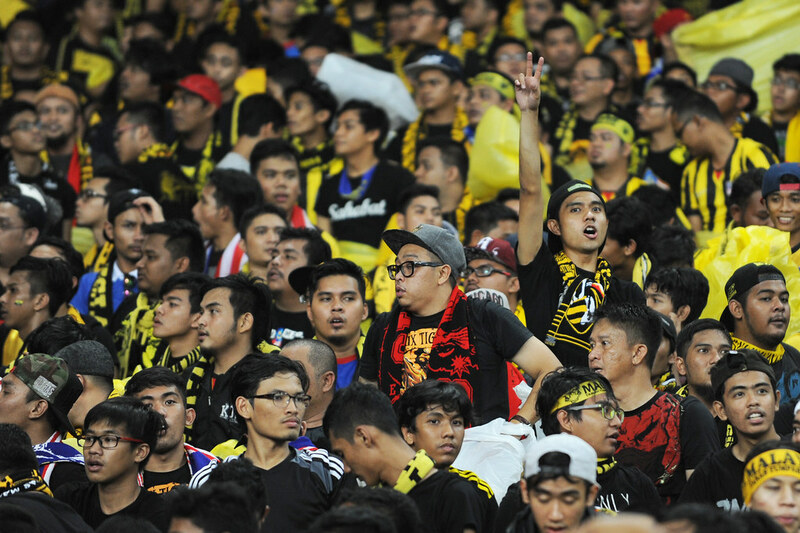 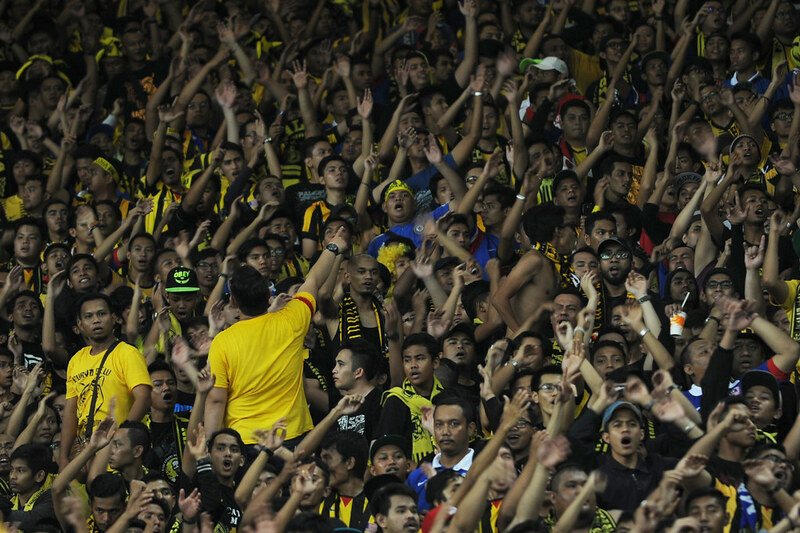 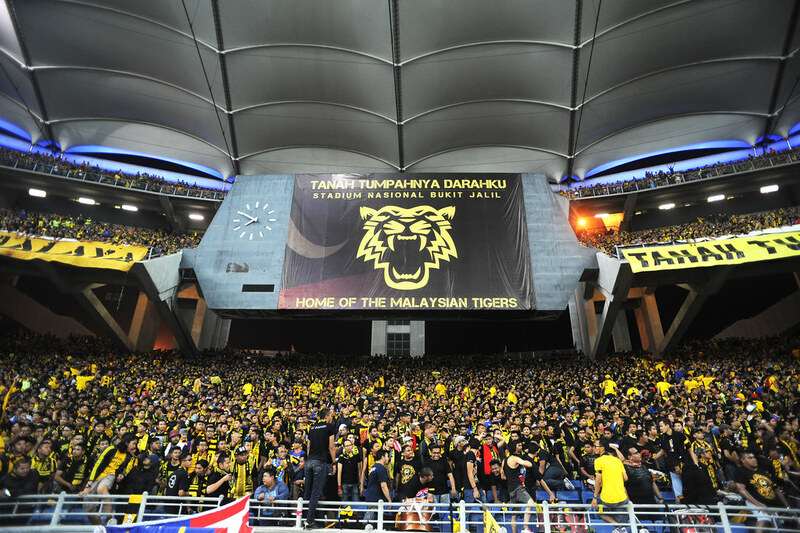 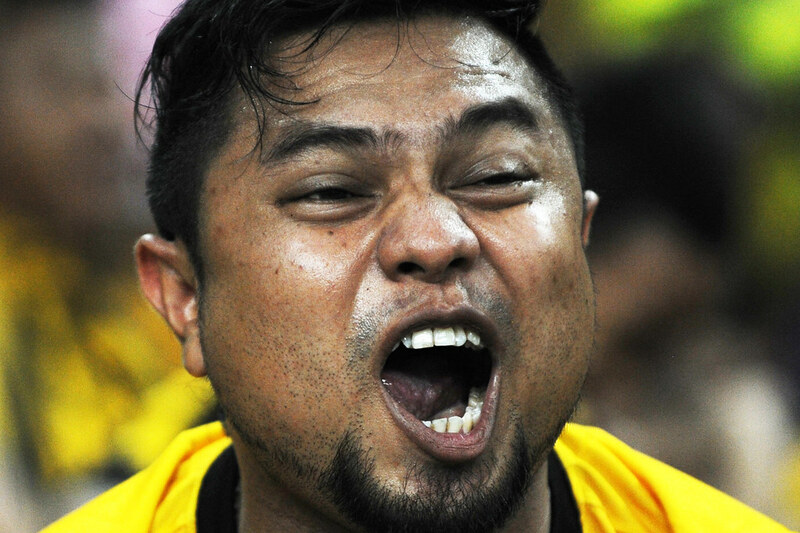 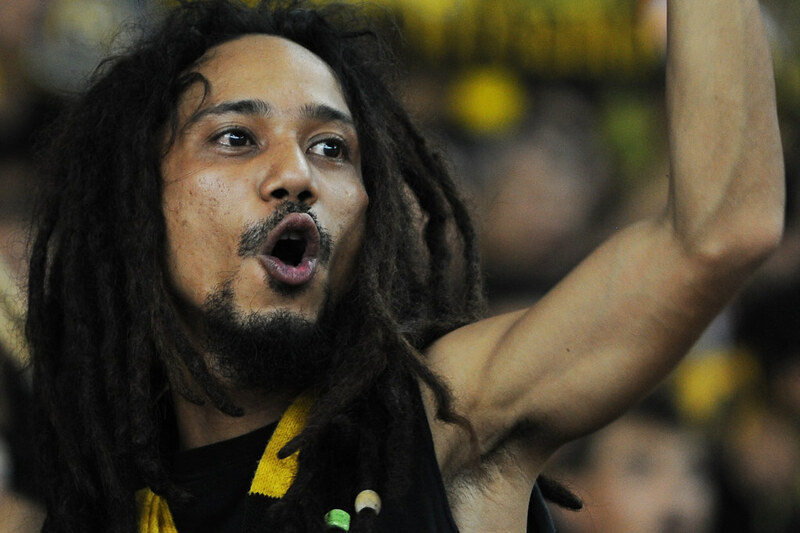 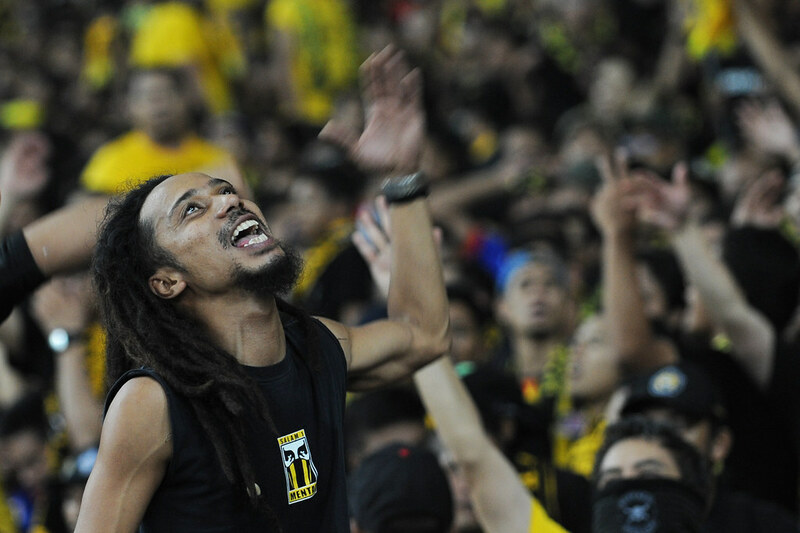 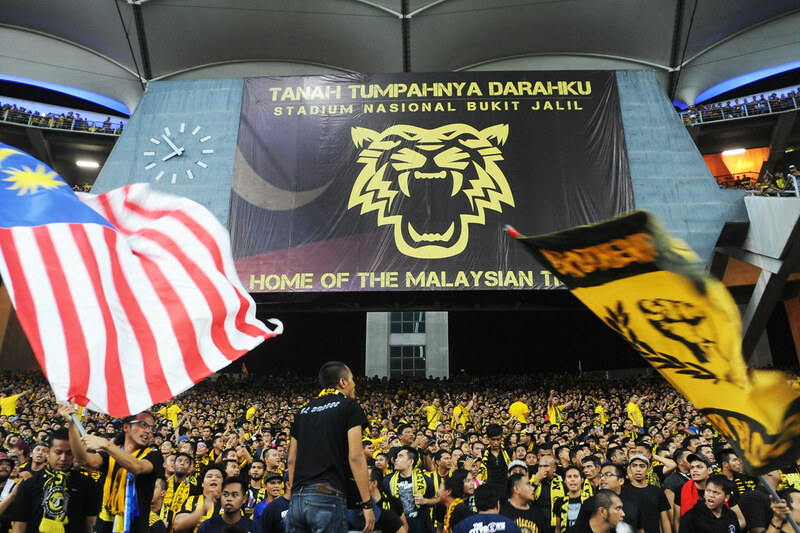 The numbers have been rising steadily for Ultras Malaya, which was formed in October 2007 by a handful of frustrated Team Harimau fans. 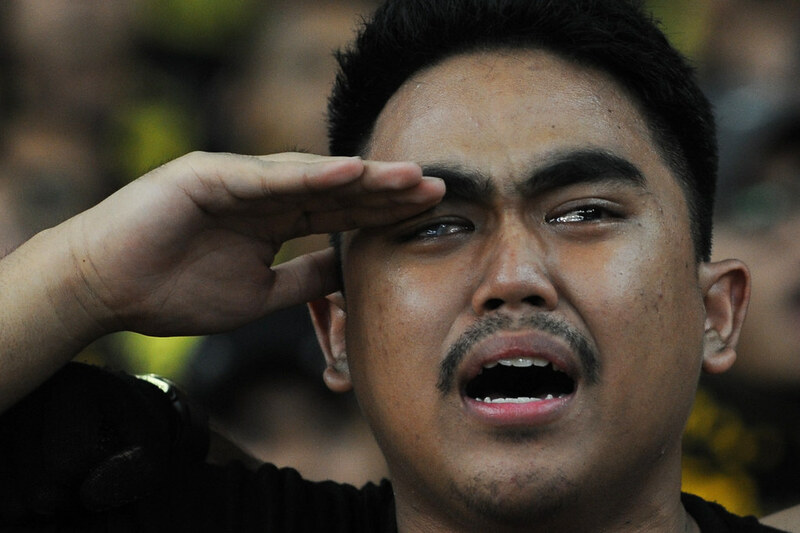 Back then, the national team was thrashed 5-1 (by China), 5-0 (Uzbekistan) and 2-0 (Iran) and finished bottom of the group during the AFC Asian Cup, which Malaysia co-hosted. 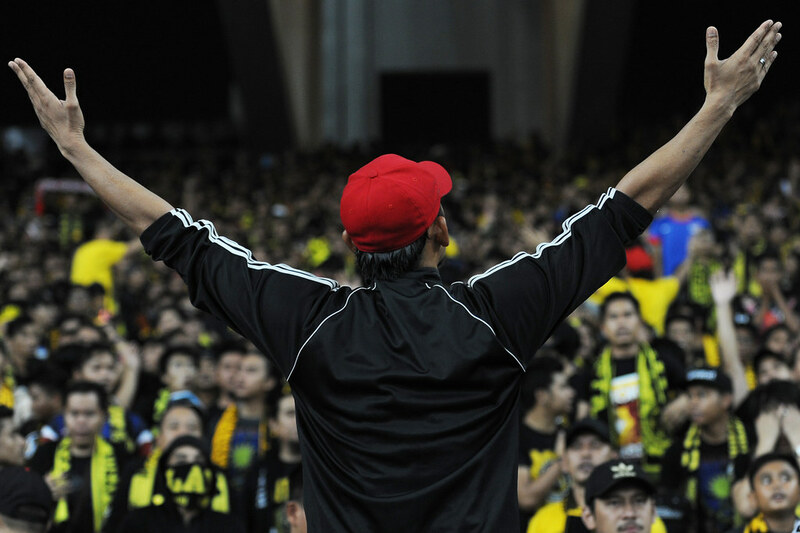 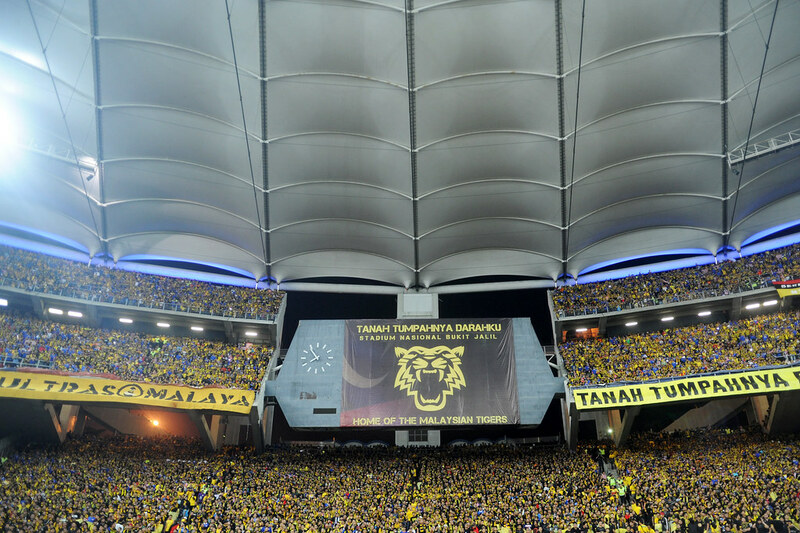 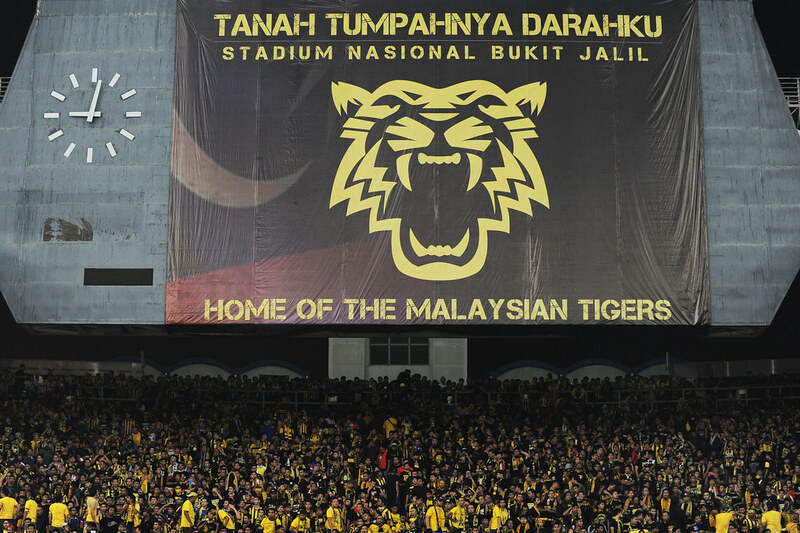 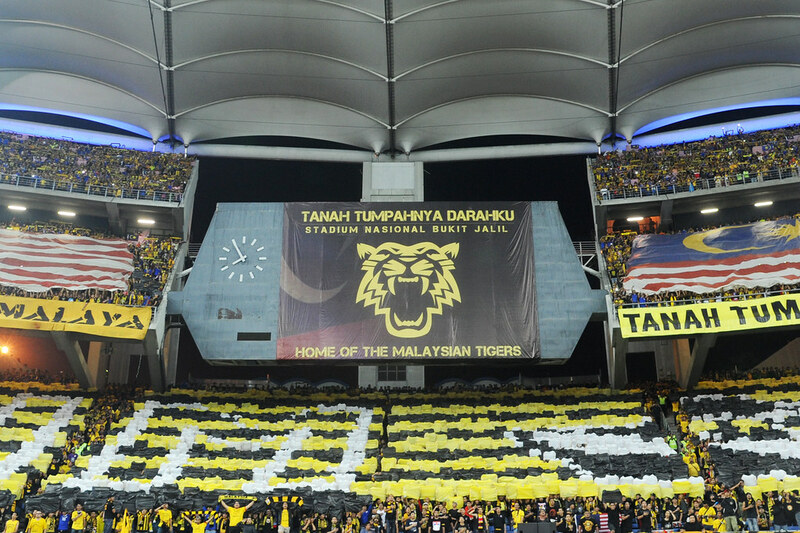 The wheels has been set in motion with Ultras Malaya preparing for a Tifo routine at the Curva in Stadium Bukit Jalil. 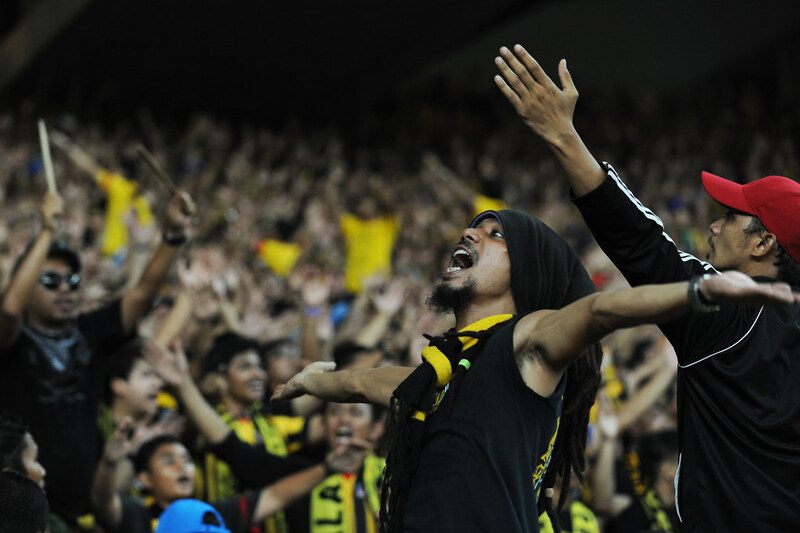 You are bound to spot these fans in the stands, especially with their preferred uniform of black and yellow T-shirts and scarves.